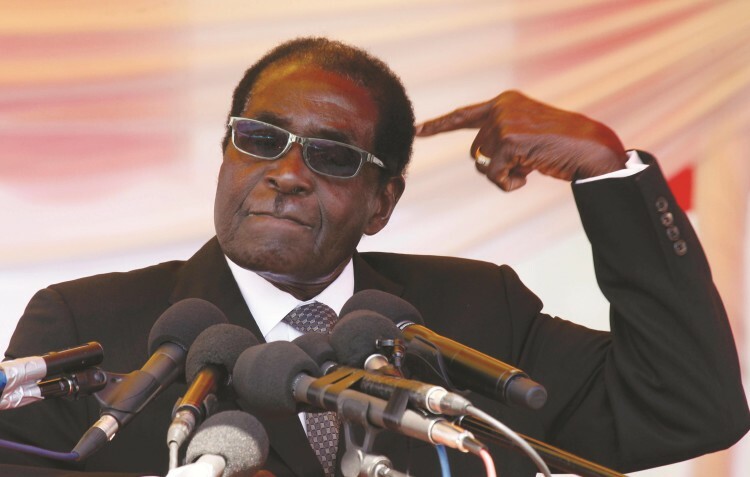 President Robert Mugabe is the grandfather of insane conservatism in Africa—he detests homosexuals and thinks another human being should be treated like a goat because of the person’s sexual orientation. Following Friday’s morning extremist attack at a hotel in Mali and with the recent Paris attack which killed several people in mind, Robert Mugabe has realized he is part of the world—and his country ought to join the fight against terrorism. But since he does not have any western allies, even China hates to deal with him—he has decided to adopt one of his usual radical tactics: to ban Islam completely from Zimbabwe if any extremist attack his country. Though Human Right groups have called this insane and undemocratic, Robert Mugabe has told Capital radio in Harare that, he will do everything to protect his people. Considering Robert Mugabe’s callous track record, he seems serious about this—this is the man who forcefully took large pieces of land from the whites a few years ago without any proper consultation. And this is a man who talks so much about homosexuals, such that he cannot even see how empty his country’s economy has become. It’s interesting that Robert Mugabe conveniently and wrongly equate extremist attacks with Islam just as some people do—the reason why he would ban Islam if there is any attack in Zimbabwe. But what about Mugabe banning himself from Zimbabwe? Because he is equally an extremist, causing unending havoc to the people of Zimbabwe.